Despite the long term risk, tobacco use remains widespread among young people in Anne Arundel County. By graduation, 23% of 12th graders smoke regularly and 5% use smokeless tobacco. Since 2000, there has been an increase in cigar use among Maryland teens. The average age of a first-time smoker is just 13, and many are regular smokers by the time they start high school. Also, 37% of Anne Arundel County households have minor children living with adult smokers. This increases chances of serious childhood illnesses — such as bronchitis and asthma — and also increases the likelihood that children will someday use tobacco themselves. It’s never too early to begin teaching children about the dangers of tobacco use. If you want to keep your child away from this deadly addiction, this Web page can help. You can also order free helpful publications to influence your child against tobacco use. If your son or daughter already uses tobacco, this Web page gives you the resources you need to help them quit for good. Remember, it is against the law to sell tobacco to kids under 18. Start by keeping your home smoke-free. Maintaining a smoke-free home and car sets a good example for your children. Parents who don’t smoke are much less likely to have children who smoke. See the section, “Protecting children from tobacco smoke”. Learn To Live offers the Smoke-Free Kids Activity Kit to help parents teach their young children about tobacco. The kit includes information on secondhand smoke, how to start talking about tobacco, and activities you and your child can do together. Request your free kit below. Stay involved in your child’s life. Get to know your child’s friends, especially if you have teens. Young people whose friends are nonsmokers seldom smoke, but almost half of those with at least two friends who smoke are smokers themselves. Discuss ways for your child to say no if a friend offers cigarettes or smokeless tobacco. Encourage your son or daughter to get involved in sports or other healthy group activities that discourage smoking. Learn To Live offers free quit-smoking kits for adults and teens. These helpful kits give you easy-to-follow advice for quitting and staying off cigarettes. Request your free kit below. Be clear and direct. Use simple language that matches your child’s age and level of understanding. Don’t lecture. Try for an easy give-and-take as you talk. Listen carefully to your child, and try not to interrupt. This will show them that you respect their thoughts and feelings. If you don’t have the answer to a question, say so. Then promise to find the answer, and make sure you follow up. Secondhand smoke is smoke that comes from the burning end of a cigarette, cigar or pipe and the smoke exhaled by a smoker. It contains over 4,000 dangerous chemicals, at least 50 of which are known to cause cancer. Parents who smoke often expose their children to secondhand smoke. Children in a home with secondhand smoke breathe as much smoke each day as if they smoked three cigarettes. Children riding in a car filled with secondhand smoke for one hour breathe as much smoke as if they had smoked three cigarettes. Secondhand smoke is dangerous to everyone, but it is especially harmful to unborn babies, infants and children because their bodies and lungs aren’t completely developed. Thirdhand smoke is the smelly residue of gases and particles that stick to smokers, their clothes and other surfaces after cigarette smoke has cleared. Thirdhand smoke contains many of the same chemicals found in cigarette smoke. Simply closing a door does not protect nonsmokers. Since thirdhand smoke sticks to surfaces, it can be absorbed by inhalation, touch or ingestion. Babies and crawling children are especially at risk. If you smoke, the best way to protect your children is to stop completely. You can request your free quit smoking kit below. Never smoke or allow smoking near your children. Plan family activities in nonsmoking areas. Only use nonsmoking child care providers. To learn more about secondhand smoke, you can download a free brochure, Secondhand Smoke Is Deadly: Protect Your Family and Friends, or request one from the Learn To Live Line, 410-222-7979. Make sure your child understands your rules about tobacco. Parents who consistently voice strong disapproval about smoking and chewing tobacco are more successful with keeping their child from using tobacco products. Talk about the short-term effects and how tobacco use can change their looks. Smoking makes you unattractive (bad breath, smelly clothes, yellow teeth); it’s expensive; hurts your sports performance; and bothers and harms other people. Chewing tobacco stains your teeth and can make them loose and fall out. Explain the long-term health risks – emphphysema; bronchitis; mouth, throat and lung cancer; and early death. If a relative or family friend has died or been made sick by tobacco use, mention that person as an example. Explain what addiction is and that the nicotine in all tobacco products is as addictive as heroin and cocaine. Help your child understand that once a person gets hooked on nicotine, it is very hard to quit. More than half of all high school seniors who smoke are unable to quit. Point out that most young people do not use tobacco products. Only about 12% of people under 18 in Anne Arundel County are regular smokers. If you smoke, talk about how smoking has harmed you, how hard it has been to quit, and why you don’t want your child to use tobacco. Tobacco advertising can be a dangerous influence on children. Cigarette ads promise many benefits of smoking such as pleasure, independence, popularity and personal attractiveness. Point out tobacco advertising to your son or daughter and explain how tobacco companies use these false promises to trick people – especially young people – into smoking. When smoking is shown on TV or in movies, let your child know that tobacco companies often pay actors to smoke to make smoking look attractive. Point out that cigarettes are a “gateway drug.” Teenagers who smoke cigarettes are 15 times more likely to use other dangerous substances, such as cocaine, marijuana and heroin. Cigarette smoke is toxic and poisonous to the human body. It contains about 4,000 chemical agents, including at least 50 carcinogens. Light cigarettes are not safer than regular cigarettes. Switching to light cigarettes does not help smokers quit and still puts them at risk for cancer, heart disease and other smoking-related health problems. Chewing tobacco is as addictive as cigarettes. A two-can-a-week user gets as much nicotine as a pack-and-a-half-a-day smoker. Chewing tobacco can also cause mouth and throat cancer. Cigars are not a safe alternative to cigarettes. Cigars and flavored cigarillos contain the same addictive, toxic and carcinogenic compounds found in cigarettes. In fact, a single large cigar can contain as much tobacco as an entire pack of cigarettes. Click here for more information on cigars and youth. Bidis (bee-dees) are imported filterless cigarettes that are wrapped in nonporous leaves and sold in a variety of flavors. These products contain more addictive nicotine than filtered cigarettes and can cause throat, mouth and lung cancer. “Natural” or flavored tobacco products promoted by tobacco companies are not safer. They are just as addictive and deadly as other tobacco products. The FDA has banned flavored cigarettes, but not other flavored tobacco products, such as smokeless tobacco and cigars. “Electronic” cigarettes are unregulated, non-tobacco, battery-powered nicotine delivery devices. The nicotine “cartridges” contain other chemicals and come in a variety of flavors attractive to young people. They are as addictive as tobacco cigarettes and are very expensive. If you smell smoke on your child’s clothing, ask before you react. Maybe your child has been hanging around with friends who smoke or has simply tried a cigarette. Many try a cigarette at one time or another, but most do not go on to become regular smokers. Some other signs of tobacco use include: coughing, throat irritation, hoarseness, bad breath, stained teeth and shortness of breath. Smokeless tobacco can also stain teeth and clothes. Although it may be tempting to get angry if you find your son or daughter using tobacco, it’s probably the least effective method of dealing with it. Instead, talking together about tobacco use is the key. Find out why smoking appeals to your child, and examine it honestly. Don’t lecture on the long-term consequences of smoking, such as lung cancer. Young people often do not understand how their current behaviors can affect their future well-being. Tell your child about the short-term problems with smoking: shortness of breath, bad breath, yellow teeth and smelly clothes. 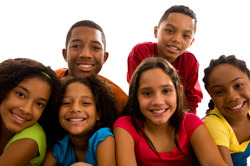 Remind your child that it is illegal for persons under 18 to purchase or possess cigarettes. Underage persons who posses or use tobacco products can be issued a citation for a fine of $25 to $100. In Anne Arundel County, youths are also required to attend Teen Court and will be ordered to complete community service. Maintain your rules about smoking. For example, if you don’t allow smoking at home, don’t let your children smoke in the house. Studies have shown that continuous disapproval of smoking from both parents reduces the likelihood of their child becoming a smoker. If your child says, “I can quit anytime I want,” ask him to show you by going cold turkey for a week. Don’t nag your son or daughter to quit. Ultimately, the decision is your child’s. Focus on helping them to make a wise one. Help your child develop a quitting plan and offer information and resources. Direct your child to the free I Quit program from Learn To Live. Reinforce your child’s decision to quit with praise, increased allowance, or greater responsibility or freedom. Remind your child that tobacco products are expensive. Examine your child’s allowance. His or her allowance, especially if generous, may be helping him or her to cover the cost of tobacco products. Your child’s doctor may also be able to help. Ask your doctor to talk to your child and suggest resources for quitting. Sponsored by the Anne Arundel County Department of Health, the Learn To Live program provides information for County residents to help make healthy lifestyle choices. County residents can order free publications from the Learn To Live Line, 410-222-7979, or click here to order or download materials. 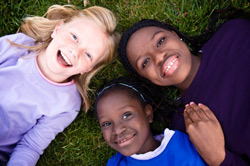 Go to the Raising Healthy Kids section for tips for parents and child care providers. Here you’ll find many ways to help you raise a healthy family: information about sun safety, preventing injuries, healthy eating, steering kids away from tobacco and more. Remember, the best source of information for your children is you. Be involved. An interactive website for youth that contains facts, games and tools to prevent tobacco use. Know a teen who smokes? I Quit gives easy, step-by-step directions for stopping smoking and staying off cigarettes. This self-help kit includes step-by-step directions for quitting smoking. Available in English and Spanish. Join the growing number of African-Americans who have quit smoking with this easy-to-use guide. Provides free quit-smoking counseling on the telephone and nicotine replacement therapy by mail while supplies last. Support is available in English and Spanish.